From the moment you think of a business idea, there needs to be cash on the table. You'll need to finance the purchase of materials, assets, labor and daily running costs so you can get your business off the ground. As the business becomes successful, there are further calls for cash to finance business development. Sources of finance refer to the different ways a business can obtain money. There are plenty of options available, each with benefits and drawbacks. To launch a new business: Enterprises need varying amounts of cash to finance the purchase of raw materials, equipment and premises, to employ staff and advertise their products and services. It may be some time before you generate enough cash from sales to pay for operating costs, so you'll need money to cover daily expenses in the early days as well. Without sufficient finance, it's unlikely the business will get off the ground. To finance expansions: As the business grows, you may need to invest in new technology or higher-capacity manufacturing equipment to produce a greater volume of goods more efficiently. These purchases are long-term investments which rarely come out of cash flow because they are so expensive. What is a Non-Recourse Bank Loan? To enter new markets: Another option for expanding a business is to break into new markets, such as new types of customers or geographical areas. You'll need a significant cash injection to finance market research, large advertising campaigns or new retail outlets. Research and development: In fast-moving markets, businesses often have to invest in new product development to keep up with competitors. The costs of market research, developing prototypes and pilot testing new products are not typically covered by sales revenue so you'll need to raise some cash for R&D. Operating expenses: Businesses have many calls on their cash on a daily basis. 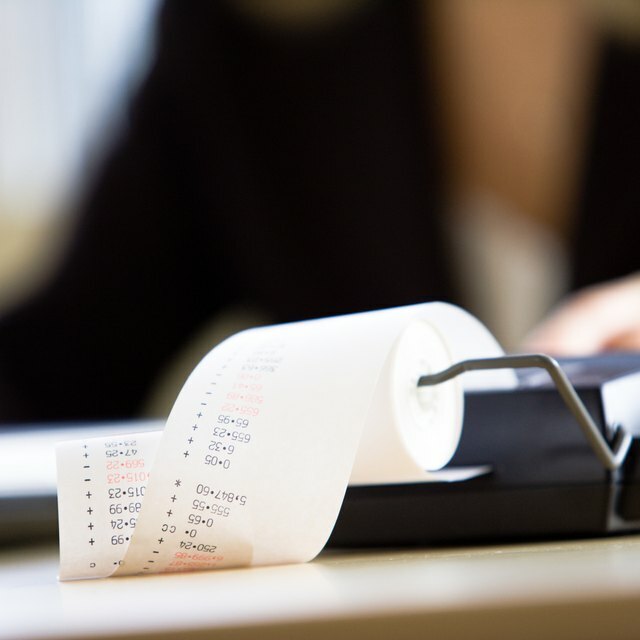 Everyday expenses include rent, utility bills, supplier invoices and staff wages. If business is slow – for example, you're experiencing seasonality or customers are slow in paying – you may need additional financing to give you sufficient cash reserves to draw from to meet your everyday expenses. What Are Sources of Finance for Small Businesses? Sources of financing are as broad as they are long, but they generally fall into two categories: internal and external sources of finance. Internal sources of finance are funds that come from inside the organization. Examples include cash from sales, the sale of surplus assets and profits you hold back to finance growth and expansion. External sources of finance are funds raised from an outside source. Examples include trade credit, bank overdrafts, loans and share issues. Another way of categorizing sources of finance is to divide them into short-term and long-term loans. Short-term finance must be paid back in a short amount of time, usually within a year. Other sources are long term and must be paid back over many years. Owner's investment: Many owners will invest their savings or nest egg into their business startup or expansion plans. It's often the most important source of finance for an early-stage business since you will not yet have the assets and trading record to support an application for a bank loan. Where the business is incorporated, the founder typically will take shares in return for his investment, retaining 100-percent control over the business. Otherwise, the investment is essentially a gift. As far as finance goes, this one is cheap – the business doesn't have to repay the cash and there's no interest on the investment. On the downside, there's a limit to how much an owner can afford to invest. For startups with heavy asset requirements, it's likely the business will need additional sources of finance besides the owner's savings. Retained profits: When a business is trading profitably, it has the option of plowing some or all of those profits back into the business. For example, a business sells stock for $10,000 cash which it bought for $6,000. This means that retained profits of $4,000 can be used to finance further stock purchases and other expenses. The main advantage of this type of finance is that it uses ready cash the business owns; there are no loan repayments or interest charges to consider. Not every business will make enough profit to put back into the business, however. Startups are unlikely to have enough earnings to generate sufficient profit. Sale of stock: This money comes from selling unsold stock, often at a discounted price, such as what happens in the Black Friday sales, for example. The business then plugs the profits back into the business. Selling old stock is a quick and short-term way of getting cash from product that might otherwise take time to sell; you also save the cost of storing the items. If there's a negative, it's that the business will have to take a reduced price for the stock. Price it too low, and you may be creating larger problems for the business. Sale of fixed assets: This money comes from selling fixed assets that are no longer needed. Many companies have surplus vehicles or machinery they can easily sell off especially in a replacement scenario – a company could sell its delivery truck in partial payment for a new one, for example. The major drawback is that it's a slow method of raising finance. Many fixed assets are illiquid; old manufacturing equipment or factory buildings may be hard to sell because of a lack of interested buyers in the market. There's also a limit to the number of fixed assets a business can sell without it impacting operations. Debt collection: A business can often raise short-term finance by collecting debts that are owed by its debtors, usually clients and customers who have not paid their bills. There's no additional cost in raising this type of finance as it is part of the business's day-to-day operations. However, an aggressive approach to debt collection could damage the company's relationship with stakeholders and there is no guarantee that the company will get paid. Bank loan: This is an amount of money borrowed for a set period at an agreed rate of interest. Repayments are spread over time such as five or 10 years which is good for budgeting; however, these loans can be expensive due to interest payments. Banks usually require some sort of security on the loan such as collateral in the form of property or a personal guarantee provided by the company's owner. They're a reliable option for raising startup and expansion capital. However, they don't provide much flexibility. Bank overdraft: An overdraft is essentially a short-term bank loan that allows you to go overdrawn on your account whenever you need to. They provide an effective way to cover the period between money coming into and out of the business, which is good news for seasonal businesses and those that have temporary cash flow problems. You'll invariably pay interest on the amount overdrawn, however, and rates tend to be higher than those of bank loans. Overdrafts can be expensive if used over a long period. Borrowing from friends and family: Borrowing money from supportive friends and family can be quicker and cheaper to arrange than a standard bank loan, and you can negotiate flexible interest rates and repayment terms. However, the jury's out whether borrowing money from friends is a good idea. On the one hand, friends and family will be keen to see you succeed and may not be too stringent about enforcing the loan terms. On the other hand, tensions may develop if your business gets into difficulties and friends see their investment going down the tubes. Share issue: Companies can raise cash by selling shares to external investors. This is a long-term and relatively pain-free way of raising funds as there's no repayment or interest to pay on the capital you raise. However, you are giving away an ownership stake in the company. Profits get diluted as you pay out dividends to shareholders, and you will lose the right to absolute control of the business. This will hit the company's founders the hardest. Suddenly, they will be answerable to shareholders and will be losing much of the profit they would otherwise have kept for themselves. Trade credit: This is where suppliers agree to deliver goods now but are willing to wait a number of days – typically 30 or 60 – before payment. Buying now and paying later is good for cash flow since you can put off paying for the goods until you've sold them on to customers. There are generally no interest charges as long as you pay within the agreed period. You'll need to carefully manage your cash flow, however, so there's enough money to settle the invoice when the payment becomes due. Factoring: With factoring, you sell your invoices to a factoring company. The company will give you around 80 percent of the value of the invoices as a cash advance and the balance – less fees – when the customer pays up. The idea here is to get cash right away rather than waiting 15, 30 or 60 days to get the full amount. On the downside, you will lose some of the value of your total receivables. Credit cards: Many organizations use their own or their owner's credit card to finance their business expenses. This type of credit is usually faster and cheaper to arrange than trade credit or invoice factoring. Take care to pay the full balance as charges can stack up very quickly. Government grants: Some government agencies and non-profit organizations offer grants to businesses based on various conditions such as which industry you work in or where you are located. For example, grants may be available to businesses that open in areas of high unemployment. Since the money is a grant, not a loan, it doesn't have to be repaid. Not all businesses are eligible, however, and the program may be massively oversubscribed with hundreds of applicants for each cash award. You can't bank on grant money as your primary source of funding. Business angels: Business angels are professional entrepreneurs and investors who provide finance to businesses with high growth prospects. As well as cash, angel backers often contribute their skills, experience and networks to the company, which is a significant advantage to a start-up. On the downside, you'll give away shares in the company and must accept some loss of control over the way the business is run. The internet has made life much easier for businesses in need of a cash injection. If you have a business idea, then online lending services like Kabbage can approve a line of credit in as little as 10 minutes and deposit cash into your account the same day. Crowdfunding sites such as Kickstarter and Indiegogo provide a platform for you to raise capital for your startup, though you will have to give investors first access to your product. Finally, it's worth checking out peer-to-peer lending sites such as Lending Club and Prosper. These platforms connect borrowers with people who are willing to extend loans at an interest rate. Simply register and add details about your business and the amount of loan you need. Lenders bid on the investment so you can choose the lowest interest rate and the right loan for your business.